We think the price of This product is quite fair and we think that the manufacturer did provide easy instructions to follow in order to use this product. This product review provides details about a product manufactured by SkinPro called Ultra Brightening Skin Lightener. It is an alternative option to chemical peel and bleaching treatments that are designed to lighten the skin. 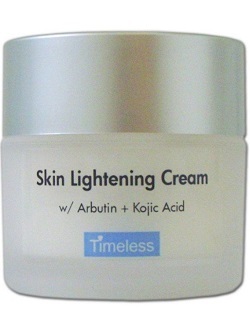 This product removes areas of hyperpigmentation or overly dark skin like liver spots. It also contains ingredients to nourish and moisturize the skin so that it remains healthy and has a good complexion. The seed and kernel oils in this product are helpful because they lock in moisture and this moisture helps the skin cells to operate and grow properly without becoming damaged and forming dark spots. They also contain a few good nutrients for the skin cells to use to function properly. The other ingredients also contain nutrients. Many ingredients like ascorbic acid are antioxidants, which means they reduce inflammation in the skin and that helps to slow down the process of skin aging. Ingredients like hyaluronic acid and polyacrylamide basically provide a scaffold for new Skin to grow over where it was damaged before. Probably the most powerful ingredient in this whole list is the hydroquinone which is able to reduce the production of the brown pigment that causes dark spots on the skin. There are a few concerns with hydroquinone, because it has been found to be harmful to some people’s health by contributing to the development of cancer or just by irritating their skin. The face must first be washed with warm water and dried thoroughly. One coat of SkinPro Ultra Brightening Skin Lightener must be applied directly to the affected areas and allowed to dry and then a second coat can be applied. This process can be done twice a day. The product comes with an applicator brush to allow for easier application. 1 fl oz can be purchased online through the manufacturer for $43.99. This price does not include shipping or taxes. Unfortunately this manufacturer does not offer any discounts for buying bulk orders of the product or subscribing for a regular order. This causes the product to be more expensive to purchase when customers want to use it over the long term. We couldn’t find any sign of a guarantee being offered by the manufacturer. This is slightly problematic because if customers feel that they have not achieved the results they wanted then they’ve lost quite a large amount of money on a product that does not benefit them, which is not necessarily their fault. This is why we believe every manufacturer should have a guarantee. We also believe that the lack of the guarantee shows that the manufacturer is not fully confident in their own product. We think the price of This product is quite fair and we think that the manufacturer did provide easy instructions to follow in order to use this product. But we also think that this product is probably not the best skin lightening one on the market for a couple of reasons. It contains an ingredient that could be potentially dangerous and it is also not guaranteed by the manufacturer. This means that customers take a double risk when they purchase this product.